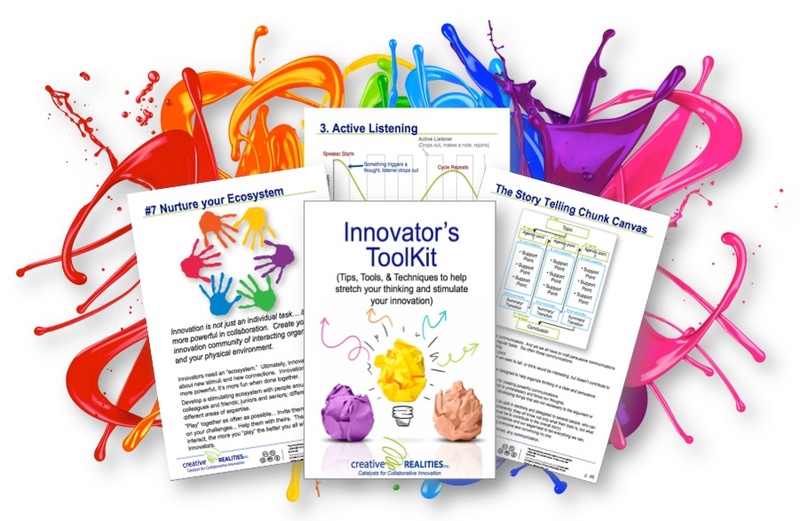 The "What," "Why" and "How To" for Key Innovation Skills, Tools, Canvases and Models. Everyone can be more innovative... if you know how! Creative Realities has been helping individuals, teams and companies innovate for growth since 1988. Along the way, we have identified the most powerful Tools, Skills, and techniques to help individuals and teams. For the first time, we are offering our compilation of our favorites to the public, for free. No strings. We love innovation. We are Catalysts for Collaborative Innovation, so we want to help everyone achieve their personal and professional innovation goals. Each Tip or Tool includes what it is, why it is, and how you can use it.